Cachaça is rum's older cousin from Brazil. It is made from freshly-pressed sugarcane, while rum is made anywhere in the world, generally from molasses. Cachaça is the third most consumed distilled spirit on the planet, and the Caipirinha, Brazil's national cocktail, is probably the world's most popular concoction! Our distillery is located at the intersection of the mountains, rainforest, and ocean in the town of Morretes, state of Paraná, in the south of Brazil. With the jungle trees only feet away from our sugarcane, we are true stewards of one of our planet's last frontiers: the Atlantic Rainforest, home to 11,000 species of endangered plants and animals. 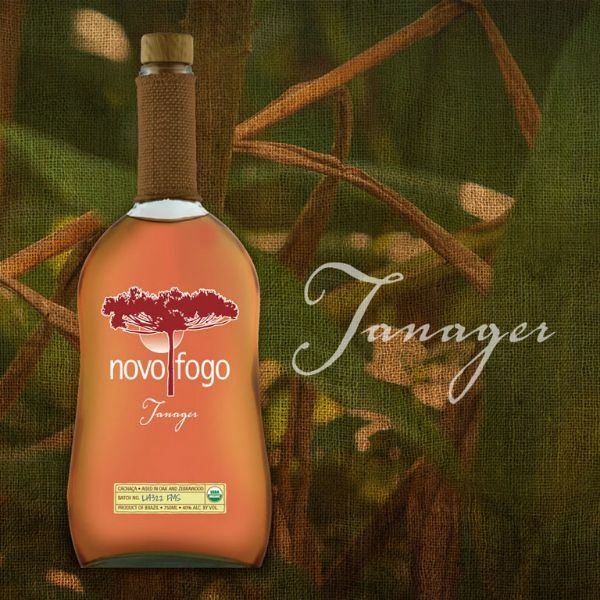 Our “Tanager” expression is the first double wood age cachaça broadly available in the USA and it mixes south Brazil's two finest species. We age this cachaça in re-purposed oak barrels and finish it in casks of arariba (Brazilian zebrawood) for a natural red color and a distinctive mountain earthiness. This truly unique cachaça suggests tropical fruit, grass, cinnamon bark, and other holiday spices; it can be sipped alone or as the base spirit in twists of classic cocktails like the Sazerac.